You are going to Watch Blue Exorcist Episode 7 English dubbed online free episodes with HQ / high quality. 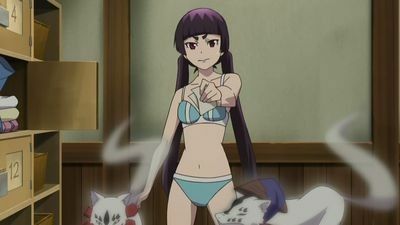 Stream Anime Blue Exorcist Episode 7 Online English dub A Flock of Plovers. Eager to make new friendships, Shiemi asks her classmate Izumo Kamiki to be her friend and she pretends to agree, but Rin soon realizes Izumo is just taking advantage of Shiemi’s kindness instead. Later, the students are reunited at the old dormitory to take part in the Esquire exam, where a ghoul attacks Izumo and her friend Paku by surprise and it’s up to Rin and Shiemi to protect them.